When an end-users is not able to connect the Licensing Server with a product, he will request an Offline Activation and send you a MachineID file. •Select any license in the home tree and click on the Offline Activation button. This interface is the same that the one used for Machine Authorization. •Select the MachineID file you've received from the end-user and click on Read. •You can see all the details for the Offline Activation request and choose if you want to allow this user to use the specified product on this machine. 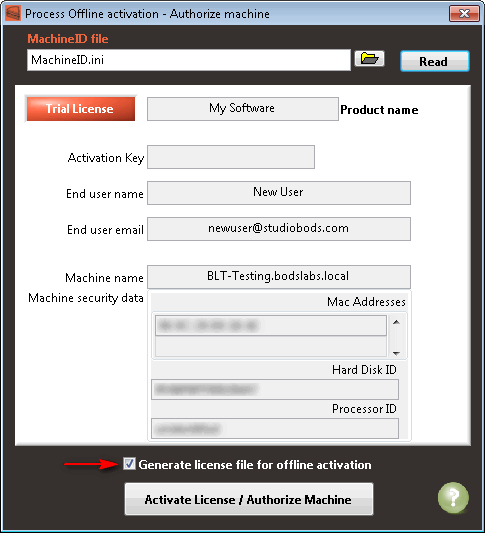 •Select Generate license file for offline activation and click on Activate License / Authorize Machine. 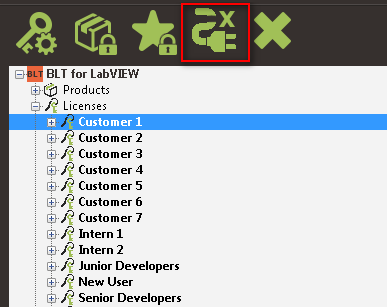 If required, BLT will register a new license and new machine in the Licensing Server and generate the License file for your end-user. •Send back the license file and ask the user to start the product and install the license file to complete the Offline Activation process.